Teenagers are self conscious. They are fashion-conscious, peer responsive and alert to how each part of their body is changing. They don’t always pay that much attention to their feet and this can lead to future problems. What problems? Due to their activities and hormonal changes, teenagers quick to get heel and ankle pain, ingrown nails, fungal infections, warts, sweaty and smelly feet. Sweat and smelly feet are not fun at all. Parents usually complain about their teenagers’ smelly feet. What is the cause? Bromodosis, or smelly feet, is a very common condition. It’s due to a buildup of sweat, which results in bacteria growth on the skin. Puberty makes sweat glands more active. Feet have approx. 250.000 sweat glands. It is common for teenagers to sweat more than what is considered “normal”. Teenagers are involved in all kinds of physical activities and sports; this makes the considered sweating to increase and so the smell. sweat + same footwear every day + dirty socks =Your teenagers’ feet stink! Make sure not to wear the same pair of shoes two days in a row. Shoes need around 24 hours to dry out. If you have training after school, make sure you clean and dry your shoes properly after training. Open shoes are ideal for those with sweating problems. Wear leather or canvas shoes, they let your feet breathe better than plastic materials. Socks should be washed properly. Choose cotton socks instead of nylon or polyester. Use an antiperspirant, spray deodorant, or foot powder on your feet and your shoes. Go barefoot when you are at home. Clean your toe nails and trim them properly. Do Not use your friend’s shoes or socks and Do Not loan your shoes or socks to your friends. Heel pain is an extremely common complaint within children and teenagers. At the ages of 10-15 years old, teenagers are enrolled in lots of activities. During this time, the growth plate in the back of the heel bone solidifies. Fungi (or fungus) grow in areas of the body where it is warm and wet, or moist. 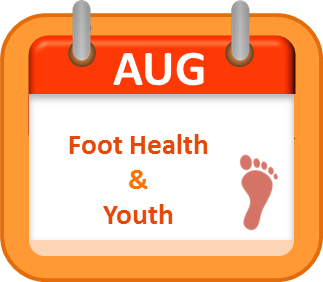 In teenagers, feet are the number one place to get a fungal infection. Athletes’ foot is a kind of fungal infection that teenagers can get easily. It is more common on male teenagers than female teenagers. Athlete’s foot is an itchy foot condition that causes the skin to flake and peel. It can also cause foot odor and sometimes blisters. Ingrown toenails are nails that have grown into the soft skin of the toe. Symptoms include redness and tenderness, as well as pain. If not treated in their early symptoms, pus, bad smell and even fever can result. Cutting their nails too short, or with undefined edges. Repeated activity, especially sport activities. Causes: According to the ACFAS (American College of Foot & Ankle Surgeons), the most common cause of pediatric heel pain is a disorder called calcaneal apophysitis, which is an inflammation of the heel’s growth plate due to muscle strain and repetitive stress. Treatment: Treatment varies depending on the cause of heel pain. For a better assessment visit a Podiatrist. 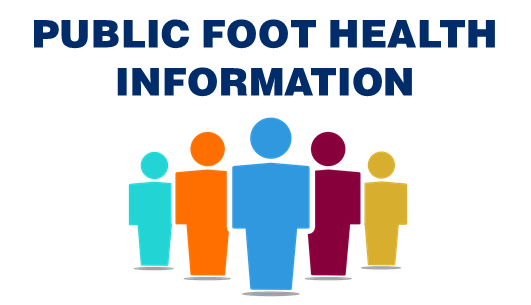 Causes: Teens can easily get Athletes’ foot in common spaces, like pools or gyms. Fungus can grow in their shoes due to humidity, and they can also get it from contact with someone that has the infection. Treatment: There are lots of ‘topical’ treatments that can be easily found at drug stores. However, not all fungus will go easily. Consult your Podiatrist to get the best treatment for these kinds of infections. Treatment: if caught early, ingrown toenails can be treated easily by wearing open footwear, cutting and trimming nails properly and finding ways to allow the nail to grow out of the skin. Soaking the foot in warm water can relieve the pain and using tape to pull the skin beside the nail are good tips. If there is already infection, or the pain gets worst, consult your Podiatrist as soon as possible. 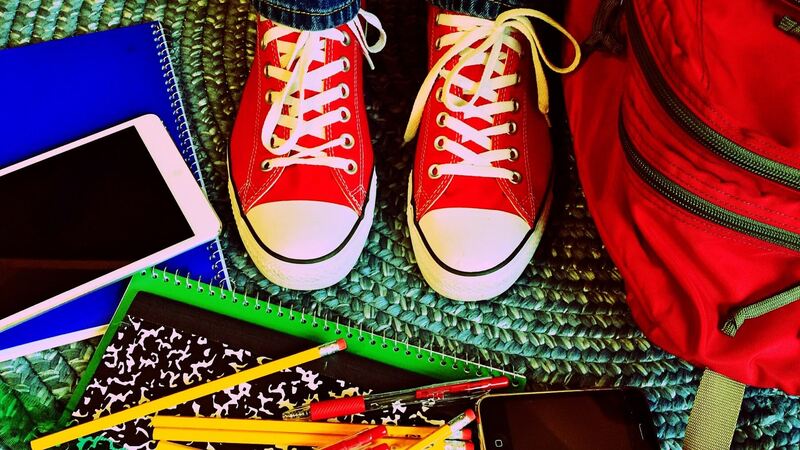 Smelly Feet or Bromodosis can make teenagers feel self-conscious, but it is a common condition easy to treat. However, in some cases the smell doesn’t go away as fast as we would like, sometimes due to another foot condition. Visit a Podiatrist! 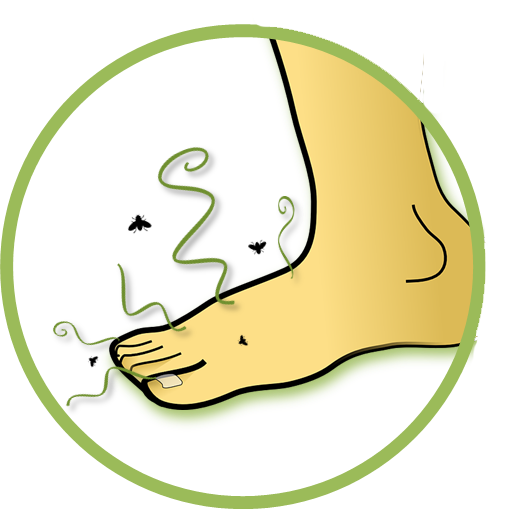 Do not wait until your foot smell worsens and is harder to treat.